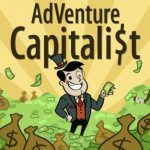 Kongregate’s new mobile game AdVenture Capitalist claims to be “the world’s greatest capitalism simulator,” and while the jury may be out on that, we do know that it provides hours of addictive fun, thanks to its simple “endless tapping” mechanics and deep gameplay. In the game you can “hire employees, purchase cutting edge upgrades, dominate the market, and attract eager Angel Investors,” among other things. 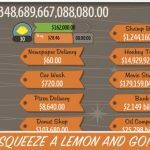 Now, that you’ve got a good summary of the game’s description, let’s get down to some AdVenture Capitalist tips and tricks to help you earn much more than millions, but “novemvigintillions” or more, as shown on one of the game’s official photos. When playing AdVenture Capitalist, your objective should be to unlock all the managers as quickly as you could. Typically, you’d want to have everyone unlocked at the time you’ve got five to six businesses. You’ll be starting out with a simple lemonade stand – isn’t that how many great businessmen started making money? – but you want to upgrade more than just that lemonade stand. 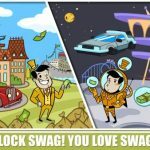 Instead, you’ll be better off upgrading all your businesses, so as to give you more chances to earn profit, and to earn that profit in spades. Yes, it sounds very simple – upgrade all your businesses, bada bing, bada boom, you’re off to earning a fortune in AdVenture Capitalist. But before you actually upgrade, you should look at the Unlocks menu, especially the first page of that menu. That’s going to show you how many upgrades have to be bought per business, so you can make the most out of said business and earn more profit. You can also see the maximum level you can upgrade a business to – for example, the lemonade stand can be upgraded to level 6,000. You’ll encounter some businesses later in the game, such as the hockey stadium, that will have you wait it out a bit before you are able to collect the profits. Keeping that in mind, your best bet is to upgrade several times just as the timer is about to expire. But while waiting for that to happen, it’s also wise to spend on upgrading your other businesses. Earlier, we quoted some parts of AdVenture Capitalist’s Google Play Store blurb – the description does make mention of some angel investors. Don’t hesitate to unlock these investors, due to their potential to help increase your profits exponentially. There is a catch – you have to sell your business and start from square one – but it should all be worth it at the end of the day. You may be wondering why we’re telling you this when these ads typically mean little to you as a gamer. But by tapping on the green television set on the bottom right of your screen, you can watch an ad in order to double your profits for the next four hours.